Does DVR use impact television advertising? While television is entertainment to most Americans, it is a communication tool used to establish a consumer relationship in the hopes of a high return for advertisers. With television, the advertiser can target a very specific consumer that is most likely to purchase its products. Nevertheless, what happens to the advertiser’s dollar when the consumer has the ability to ignore the advertisements specifically targeted for them? I cannot tell you how many times I have used the DVR to record my favorite show so that I can watch it uninterrupted from those pesky commercials and annoying advertisements. Nevertheless, more times than not, I find myself mid-commercial break wondering, “Why am I watching Flo dismantle Flo-bot instead of my favorite show?” Especially, when I have a perfectly good fast-forward button at my fingertips. Not only have I recorded my favorite show to watch at a more convenient time, apparently I have recorded the commercials, which were specifically targeted for me, to also watch at a more convenient time. So, does the “DVR effect” really make an impact on advertising dollars? Maybe, but not necessarily in a bad way. 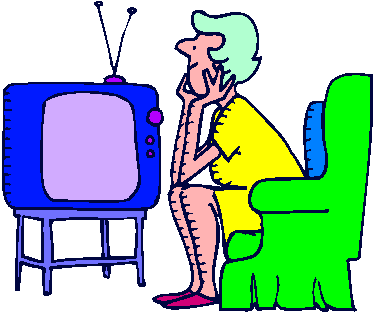 The commercials that are aired during a viewer’s favorite show are likely to have reached the viewer during the regular programming. In addition, if the viewer has missed the regular programming the advertiser has a second chance (with the same ad dollar) at reaching its targeted viewer. Especially, if most viewers are like me, they have that momentary television lapse of watching the commercials although they have the ability to zoom right through. Two for the price of one is always a great deal. If you do not reach the viewer the first time, you have a second chance, which is a bonus to your television advertizing dollar. I chalk it up as a win-win. The consumer gets the feature of recording their favorite show and its accompanying commercials, which may be aired during an inconvenient time and would have otherwise been missed anyway, and the advertiser gets two chances to reach its viewer. Harbert is expressing an industry-wide phobia among broadcast networks, but what do you think?